Being in a car crash can create an unreliable sense of time passing – either slowing down or speeding up – particularly if you have sustained an injury of any kind or seen someone else be injured. Witness statements can help clarify not only to the police, but also to those involved in an accident, and any legal representatives, what happened, from a neutral third-party perspective. In a court case, these statements can mean the difference between getting justice for injuries and damages or seeing perpetrators escape from taking responsibility for their actions. Why get witness statements after a Los Angeles car crash? With the rise in the use of dash cam footage and cell phone cameras, it can be easy to forget that human memory is notoriously unreliable in times of stress. 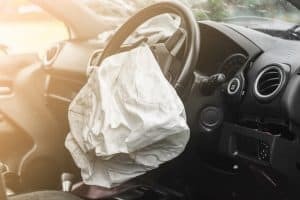 Getting the details of a car accident from an impartial witness can elucidate a situation, and often make clear who or what was the cause of an accident. Because the witness isn’t inherently biased either for or against one party, beyond what he or she observed firsthand, the testimony can be very persuasive to a judge or jury. The first thing to understand about a witness statement is that lose value if too much time has passed from the incident. Not only does human memory fade, while the accident may be of critical importance in your life, the witness most likely has moved on and given little if any thought to the situation since the day it happened. Thus, getting a timely witness statement is vital. Another issue to consider is that, despite the import in your life, the witness’s story may not support what you have hoped or experienced. Nevertheless, you must gather the information as neutrally as possible, trying not to influence the witness’s story with your own recollections or prompts. Finally, remember to consider the source. No witness who is related to you, familiar to you, employed with or by you, or in any way personally involved in the accident is reliable in court. Likewise, a retired passerby’s story might be considered more reliable than a young child’s or a person of questionable veracity and character. There are entire websites and books written, treatises and dissertations all explaining the best ways to question a witness in order to get the most genuine and complete version of events. However, no resource beats the prompt identification and request. Even if you simply ask those standing around the accident to give you their contact information for later, you have made a strong first step towards developing a reliable witness statement. Trying to find people based on incomplete information far in the future when the accident has faded from memory is unlikely to produce a helpful outcome. If you were injured in a car accident, Taylor & Ring are here for you. We are the law firm with a history of fighting for the rights of accident victims across Southern California. Call Taylor & Ring today at 310.776.6390 or complete our contact form to schedule a consultation with an experienced Los Angeles auto accident lawyer.